Fort Works Art is pleased to announce Spectrum, the return of Riley Holloway for his second Solo Exhibition with the gallery. 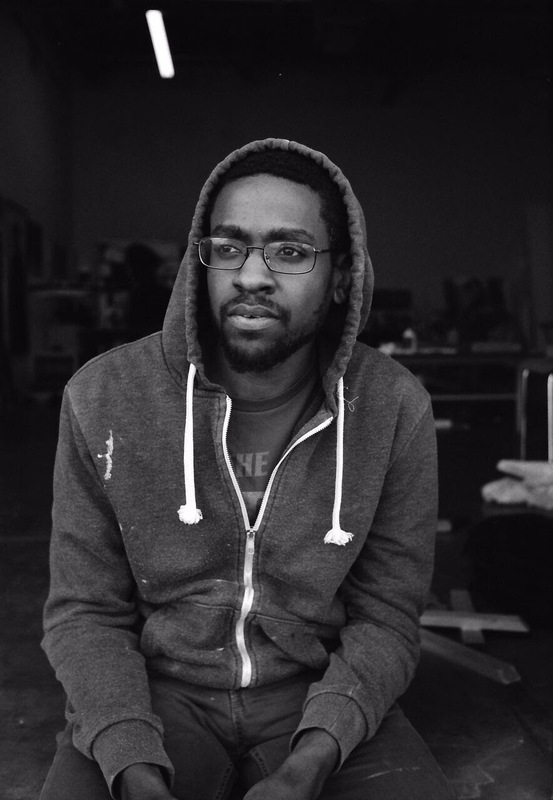 Spectrum will feature Holloway’s latest works from the last 6 months, where he studies and explores the spectrum of portraiture while engaging in new techniques. 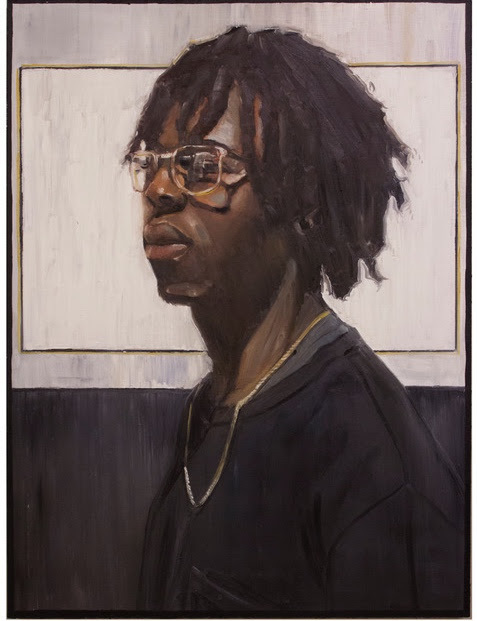 By focusing on the composition and design aspects of the works and his dramatic use of light, his portraits embody the stories and experiences that make up his subjects. 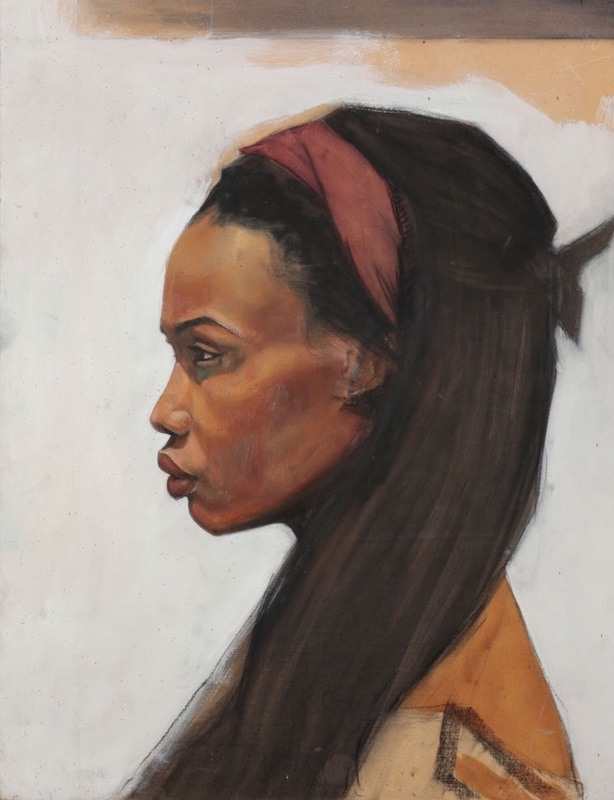 Holloway is best known for his dynamic work and fresh look at figurative art. His images are often accompanied by text and other personal references embedded within the work. There is a softness he translates accompanied with his wild markings. There is also a wonderful counterbalance of roughness and masculinity seen in the works. This is accomplished with his utilization of the “unfinished” aspects of the image and the rawness and utilitarian nature of many of the panels, gessoes and nails he works upon. 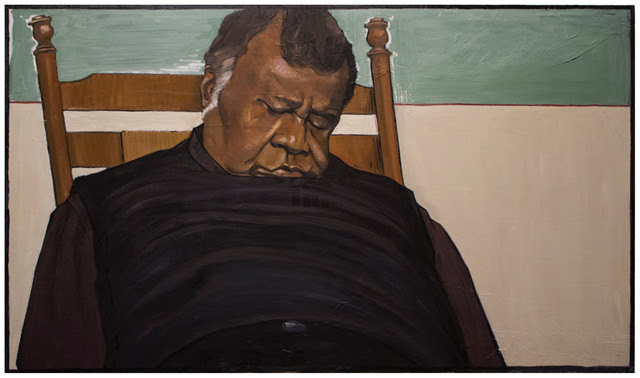 He depicts friends and family, including his Uncle Babe who can be spotted sleeping in many of Riley’s paintings and studies. These figures resonate. They resonate because they are authentic. Holloway is simply painting what he sees and what he knows. This coupled with his incredible technique bring forth works that are not only relatable but significant and powerful.